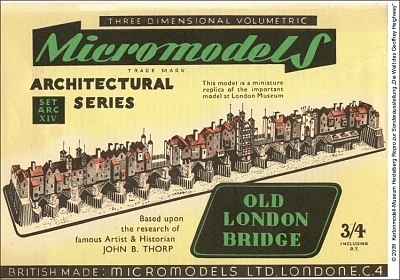 Description First and only printing was in 1951 at 3/4d. 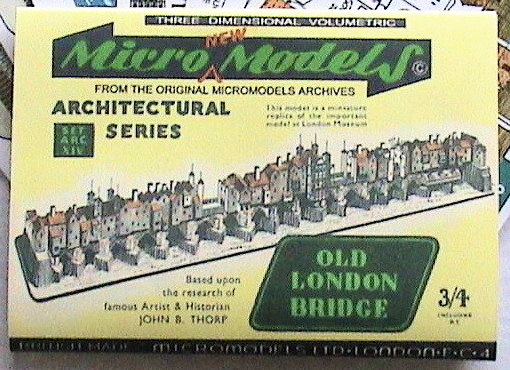 Limited stocks of Old London Bridge were purchased by Broadway Approvals in 1956, and later passed on to the Watford Models Supply Co. in 1971. 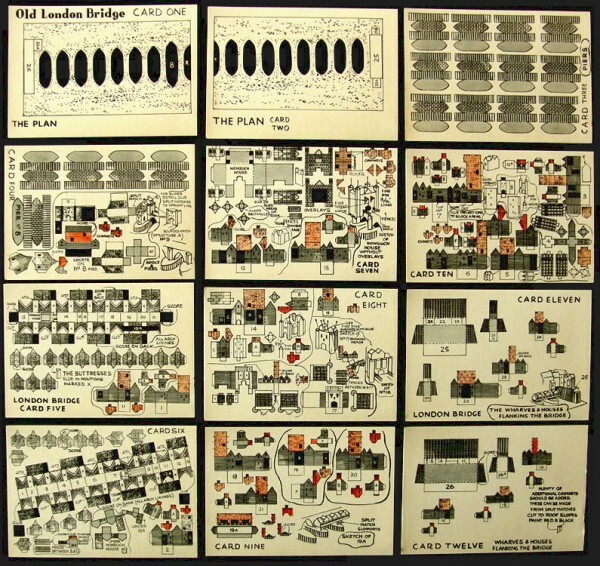 The 12 cards are crudely drawn. 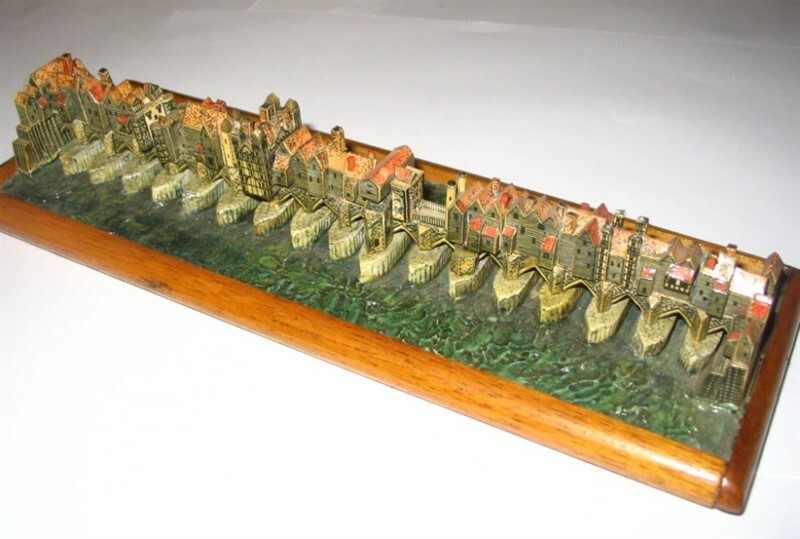 It looks as though the model has been hastily thrown together. In spite of this the model looks surprisingly effective when constructed. 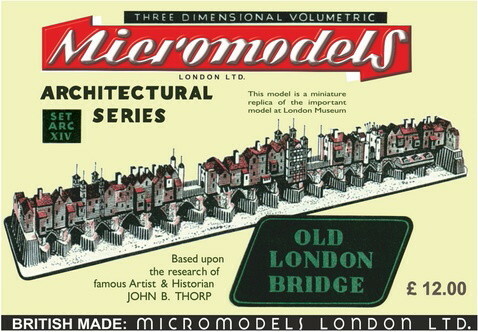 This is another model based on J.B. Thorp research. 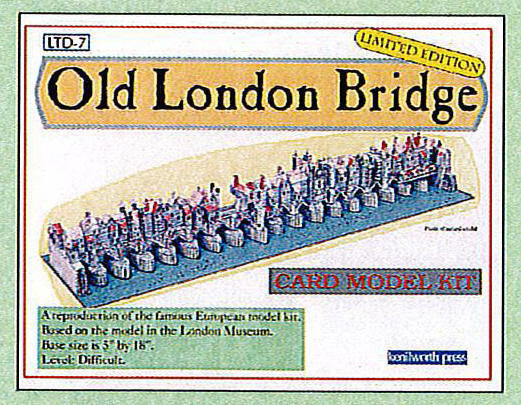 This model shows the Old London Bridge during the reign of Elisabeth I.
Kenilworth Press published this model in their “Limited Edition” series. 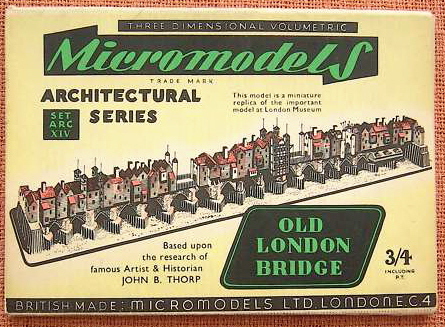 This model is numbered LTD-7 and it is about twice the size of the original.